It’s nearly time for our Primary students to put on their dancing shoes and show their best moves. Mark 3 May on your calendar. 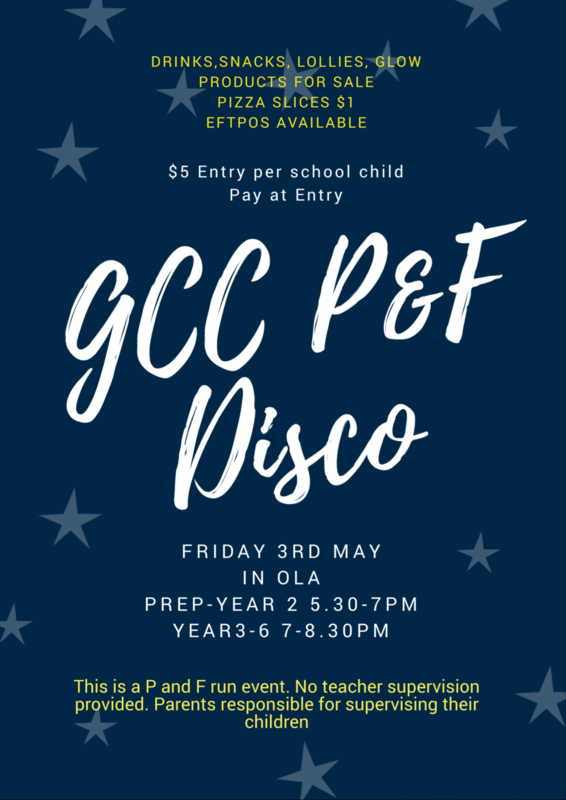 The P and F are holding the first Primary disco for 2019. It will be held in the OLA (Outdoor Learning Area, Year 1 and 2 building), with Prep – Year 2 from 5:30pm to 7pm and Year 3 – 6 from 7pm to 8:30pm. We will have some great prizes to give away. Pizza, snacks, drinks and glow products will be on sale. $5 entry per school-aged child. Look out for a flyer to be emailed out in the next few weeks. Come along for a fun night! This entry was posted in P and F and tagged Disco on March 19, 2019 by sandy.